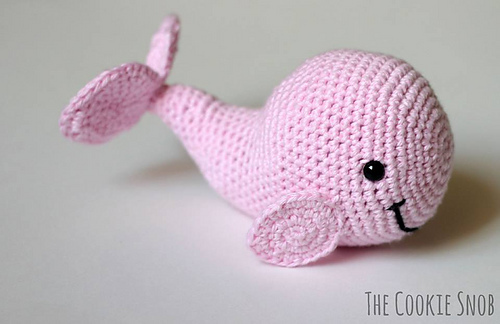 After traveling through the ocean, Bailey the Whale is ready to swim to your home with this original crochet pattern. 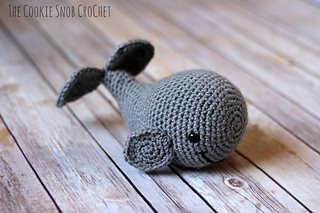 This sweet whale is sure to be a wonderful addition to your amigurumi collection and also makes a great gift for little ones. 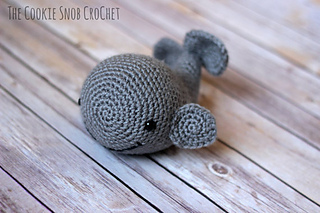 This listing is for the pattern only and includes a digital download of a PDF. 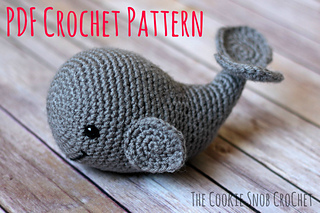 The pattern is written in English and includes step by step photos along with the instructions. This pattern recommends a worsted weight yarn and a 4.00mm crochet hook, but gauge is not important and it can be made with a variety of yarns or hooks to get the exact look you want. 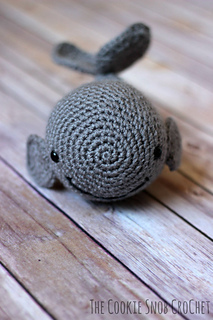 While this pattern relies only on basic crochet stitches, it is recommended for intermediate level crocheters (those with a bit of experience) because it does utilize techniques such as the magic circle and working in the round. A special thank you to Mnemosyn, krissy7575, and Fierdre for their assistance as pattern testers.